Years ago, I “discovered” ancient Mayan ruins. Well, they were new to me, not being part of my heritage. I was astonished and amazed….. I gave myself the assignment of documenting the visual power of their ancient ruins…so I wandered all over southern Mexico with my Hasselblad, trying to keep the tourists out of the shots. 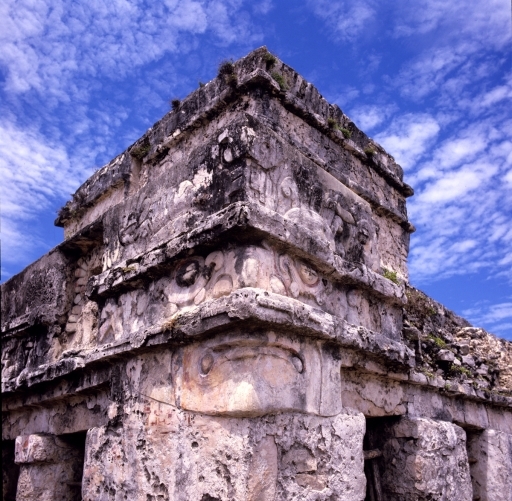 Aside from displaying prints on my own home’s walls, they’ve not been exhibited… Well over a thousand years ago, the Maya built a powerful civilization. They put great value, much more than we do, on what we call sorcery and magic. You can see some of that residual sorcery in this shot.